A few years back, I did an article on here about my discovery of My Little Pony: Friendship is Magic. 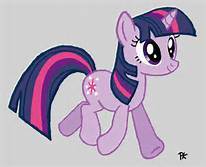 As I have continued to watch this show, I have noticed something great–Twilight Sparkle seems to have autistic traits! I really have to applaud the writers for this bold move. Let’s look at some of them. 1. Her OCD. What I really like is that the writers have shown that OCD can be a positive as well as a negative, as “Winter Wrap-up” suggests. In “Lesson Zero”, we see that Twilight maps out her entire day (in “Spike at Your Service”, we learn it’s rubbed off on him as well). This is also shown in “It’s About Time”. 2. She’s socially awkward. In the 2-part pilot, we see that she’d rather read than hang out. She doesn’t even consider pursuing friendships. She’s not like Fluttershy, who’s initially not even brave enough to speak clearly, she’s just not interested. Princess Celestia uses this in her plan to free her sister, Princess Luna, from her evil form, Nightmare Moon. This is an excellent plan, because if Twilight actually knew the whole pan, her attempts would seem forced rather than genuine. Thus, the story teaches the moral that friendship cannot be forced. As she continues to socialize with her newfound friends, we still see signs of her awkwardness in episodes like “The Best Night Ever” and “Sweet and Elite”. 4. She has obsessive behavior. She’s an avid bookworm and is obsessed with her two heroes, Starswirl the Bearded and Daring Do. She even dresses up like Starswirl in “Luna Eclipsed” and “Three’s a Crowd”. (And I just love that costume!) In “Daring Don’t”, she discovers that Daring Do is really the writer herself, and she and Rainbow Dash (who is equally obsessed with the character) geek out about the books, sounding just like arguments I’ve seen my fellow geeks get into. I think this is a great way to show that even non-aspies can have geek out moments. I applaud the writers for creating this character. It’s a small step in showing children that they should reach out to those who are different from them and befriend them. This year marks the 41st anniversary of Roe v. Wade, the Supreme Court Case that made abortion legal. I am vehemently opposed to this law. Why? Here are 5 reasons. 1. It’s claimed too many lives. In 2011 alone, over 300,000 babies were aborted by Planned Parenthood. 2. Ninety percent of Down Syndrome babies have been aborted. proof: http://www.lifenews.com/2013/04/04/did-you-know-90-of-babies-with-down-syndrome-are-aborted/) I grew up with kids with various disabilities, including Down Syndrome. They did not seem helpless to me. Sure, they had a more difficult time succeeding, but that’s to be expected. 3.Russia and Italy are two countries in population crisis. proof: http://www.rand.org/pubs/issue_papers/IP162/index2.html This is an example of countries not being able to meet the replacement rate, the principle that newborns replace those who die off. 4. A baby is a life, before and after birth. As a Christian, one of the precepts is “Thou shalt not kill.” I cannot think of a life more important than that of an unborn child. 5. Abortion leads to depression and other psychological trauma. Studies have linked abortion to depression and suicide. These are just some reasons I have. In future articles, I will explore these and other reasons in more depth.